How to Check Backlinks for a Website with ScanBacklinks? In the world of SEO, you will come to the terms internal links, external links, and backlinks. They all are important but they are not the same. So the best way to get to understanding backlinks and how to check backlinks is to define each of these three terms. Can you explain backlinks to me? Internal links are simply linked internally to your website that links to another page on your same website. These links share the same domain. It is linking internally from one page to another page inside the same website. Internal linking is a good thing for SEO. External links are when you on your website for one reason or another link to other websites. It is a link that goes external from your website to another website. The receiving website will see your website as a backlink. Now the issue to understand here is that you have given some authority presence on the internet to www.othersebsite1.com and www.otherwebsite2.com because your external link to their sites was a backlink from your website. However, in this scenario, these two websites did not return the favor. So you have given out SEO authority status on the internet but did not receive it. As you can see, you technically have backlinks to your website from three different websites not owned by you. 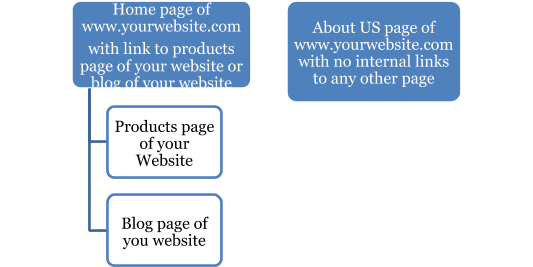 So a backlink on your site is when you are present as an external link on other sites. The result is that you now have more SEO authority which will be added to your internal linking SEO authority. This is almost like the golden rule in action online, everyone helping everyone create valuable content for SEO. The more backlinks you have to your site the better for SEO! Can you tell me if I have a good backlink? The question now is to decide if you have good backlinks to your website. In many cases, you will not even know how someone arrived at your site. Was it from a friend telling another friend about you? Did they arrive there because of a keyword or keyword phrases search? Maybe it was from back links. The SEO ranking issue is all about how people find you on the internet. So having good backlinks is paramount. To say that any backlink will improve your rankings would be incorrect. A good backlink would be from a relevant source that is trusted. It would be from a source that can send you visitors consistently. A good backlink in a visible position on a page that is highly visited will most likely bring you a steady stream of visitors. If the backlink on a line of text that is clickable is almost the same words or phrases that make up your anchor text you are probably going to have a good backlink. These are just a few of the subjective understandings of a good backlink. By subjective, we mean that everyone who is involved in SEO will have a different opinion. The ones mentioned are just a few that have concurrence as good back links. This obviously means that there are backlinks that do nothing to improve your rankings. Can you tell me how to check for good backlinks? Considering that your website should be dynamic and flexible enough to keep pace with the internet that is always in a state of flux, you would need to consistently check for good backlinks. It would be next to impossible if you were to try to accomplish this manually. The good news is that with most things on the internet, there are professional tools and services that can accomplish this for you. 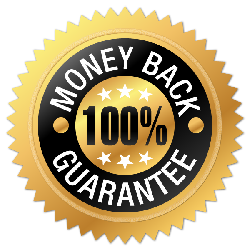 If you simply go to ScanBacklinks you can get a free report that provides analysis up to 100 backlinks to any website. To get more than that you would simply create an account with and get a more detailed report. To make this interesting we simply put in the search word “news” and were curious on the rankings on the first and second page. The order of ranking on the first page was Google News, BBC News, Fox News, MSN, US News, Salon, CNN, Wikipedia News and NY Post in that order. I went to page two and found RT News. Being curious as to why this was on the second page, not even ahead of Wikipedia or Salon it seemed like a good site to analyze from a backlink perspective. So we put in www.rt.com and received back a backlink report after creating a free account. The link to the free report for www.rt.com is ScanBackLinks report for rt.com. The top of the report gives the following information on this site. In each of these sections, you get a conclusion that briefly explains the results and a solution to improve this section on your Website. It would be incumbent on the website owner or website administrator to now use this information for improving the backlink SEO. Can you tell me how to use this information? Of course, we can! None of this information is useful unless it is applied to bear on the situation. Wisdom is the application of knowledge to obtain the best results using the best means. So let’s see if we can briefly dissect this report. From this you already know the prominent areas to focus on. You also know that this site has links to unnatural anchor lists. The solution would be to go and remove these spam links with natural links. Now think about this short information given so far. Without the use of a tool such as this to scrutinize your website, how would you even know where to begin? Now you know even more succinctly where to start the corrections to check backlinks for your site. To further check backlinks, we keep analyzing the report. The countries section of the report helps you to be found in your region. As you can see, there is an insufficient number of links from their region and it would be necessary to increase the number of links for their region. They are also suggesting to increase the number of domains with the nofollow attribute. To clarify, a nofollow instructs the search engine bots. It tells them that this link should not be an influencing attribute in ranking the search engine index. The reason is to reduce search engine spam, which in effect will increase the quality of the results by search engines. This results in preventing what is known as spamdexing. Lastly, there is a discussion of the unnaturalness of your links. 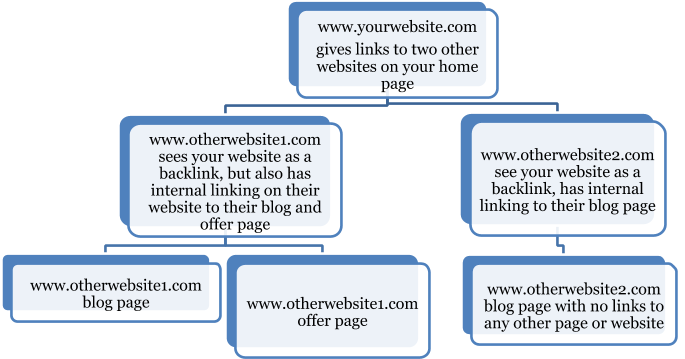 In this scenario, most of the backlinks referred to the main page. Search engine bots see this as unnatural. In order to resolve this, the website owner or webmaster here would provide more internal links from the main page to other pages on their website. Now you have observed the initial information for a particular website, what the information is and how to apply it. All with a valuable service such as ScanBackLinks! The more you use the service, the more adept you will become in applying the great conclusions and solutions. We encourage you to now take the next step and put your own website in for an analysis. You have nothing to lose and everything to gain. If understanding and applying the results, conclusions and solutions, your site move up in the rankings, then just using this service increased your bottom line. We hope that this article has been helpful. We encourage your feedback, your comments and even hearing about the results you achieved when using the service on how to check backlinks for your own website.